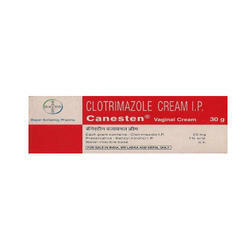 - This cream is an antifungal. For the relief of vaginal itching, burning and discharge associated with recurrent vaginal yeast infections. Premarin Vaginal cream is used for vaginal dryness and pain due to menopause. Usage/Application: Relieve vaginal problems (dryness,itching or irritation) caused due to low estrogen levels. Enriched with immense industrial knowledge, we are engaged in offering a Premarin Vaginal Cream that is highly demanded by the clients .